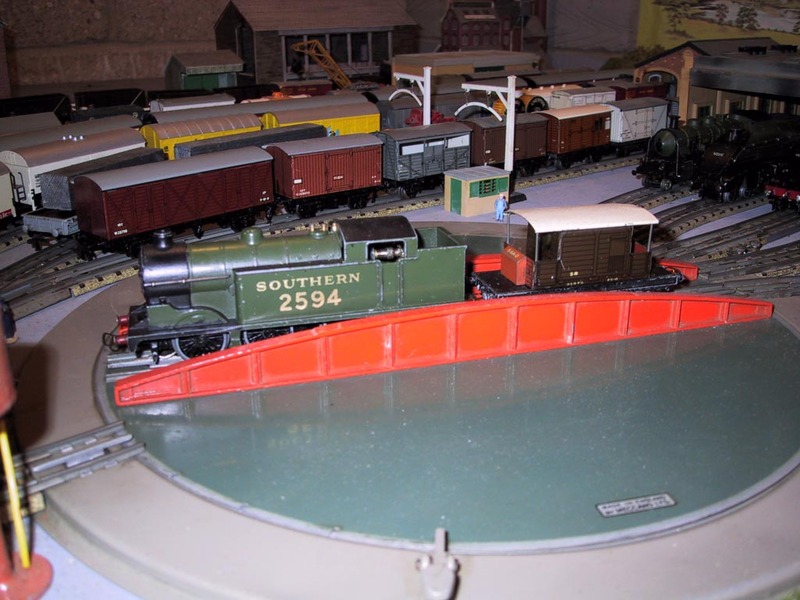 Welcome to my Hornby Dublo 3 rail website that is based on what’s happening on my Hornby Dublo 3 rail running layout. 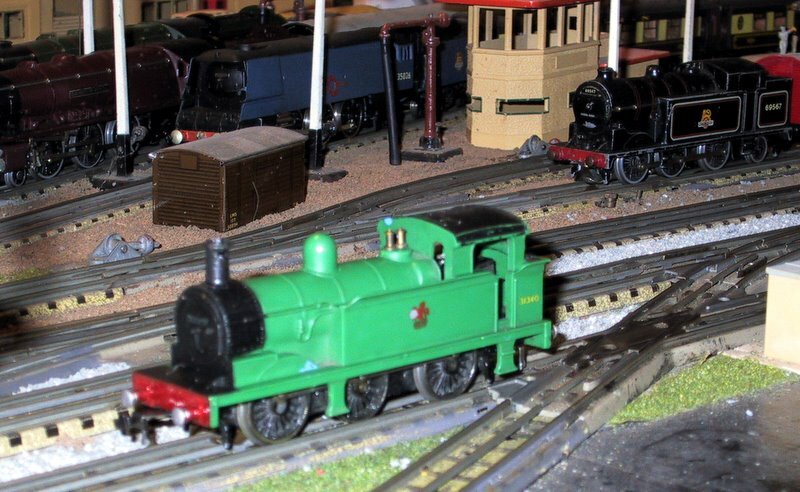 Paul Thompson has been around 3 rail for many years and in fact painted, extremely well, my BR green 2-6-4T 80135 so here is his latest video of his layout, Tomlinson Park. It really is a great video action packed and with a footplate ride and a break van ride. It was in 2018 the 80th Anniversary of the introduction of Hornby Dublo by Meccano. The HRCA have produced a special commemorative edition of the The Hornby Railway Collector. However if you are not a member you can access the original article in The Meccano Magazine here – scroll down to page 554 and then to 572 for more information. Beware – once on this site you may never leave as there is so much of historical interest in these old magazines. More and more people are accessing the web via smartphones and tablets and I realised that my previous website did not fit well in this environment. Thanks to WordPress that hosts my site I have changed the theme and now this site works better on these smaller screens. However the change has meant that some of the paragraphs have become disjointed and I will have to go through every page on the site to make sure that these faults are corrected. I have started but it may take some time. I have added 3 Trix maroon coaches to the layout which are very free running and a Hornby LNER B12 to the loco roster. I have a reasonable collection of the common HD locos but as I baulk at spending a great deal of money on the rare ones I have augmented the collection with Wrenn, Trix, Triang and other 3 rail conversions. 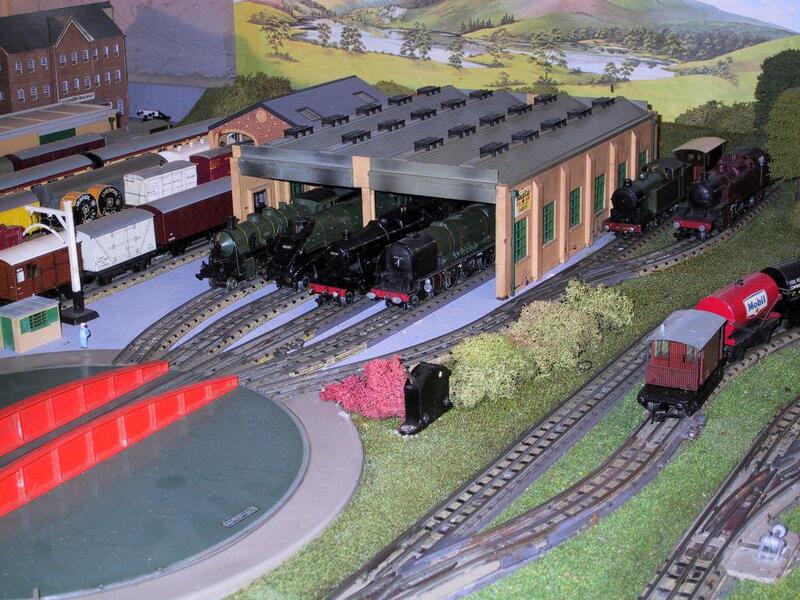 They might not be original but they add interest to the running which to me is the prime objective of the layout. Click on the News button to find out what is happening on the layout with new acquisitions and other changes. The Layout button links to a history of the layout and the build of the extension with relevant pictures. Information and help for building your own layout. This is now a very large page with jump buttons enabling quicker navigation. It also has many many helpful comments at the bottom of the page. In addition there is now a tab for Other Layouts which currently has information on 5 three rail layouts. Everything you could ever want to know if you are thinking of building a 3 rail layout. The Links button connects you to other layouts, restorations, repairs and sales plus prototype railway sites. There are over 70 links on my Links Page and it is the most popular page on the website. 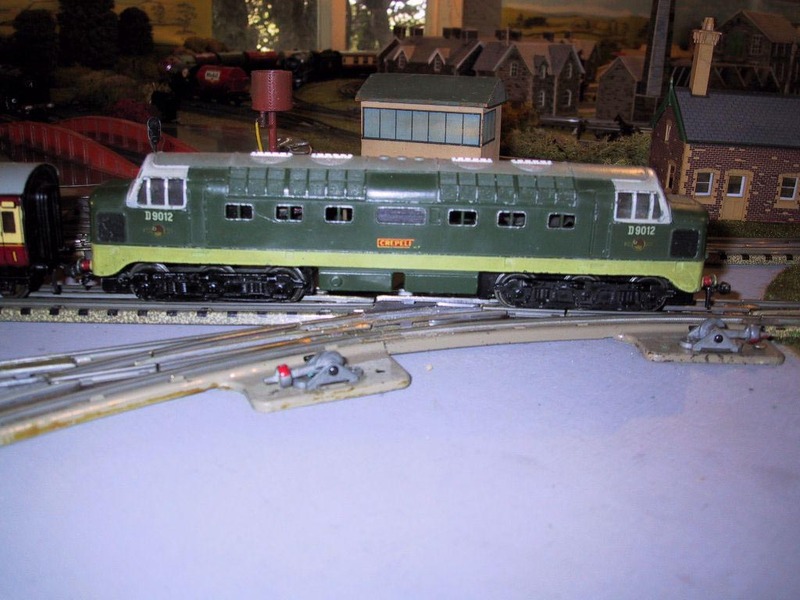 These links cover Dublo, Trix, Triang Wrenn and other old railway systems, information, items for sale and also some websites on prototype railways in the UK. They are checked at least once a month and there should be no broken links. Well worth a browse. The Photos link is currently a work in progress at the moment. I have removed the link to a Picasa site and replaced it with some pictures of my engines. Not sure that this works very well but I will reflect and perhaps change it again in the future. The new software enables me to easily add a picture to a post so I will make sure that all new posts have relevant pictures. Click on the picture to enlarge. The following links have comprehensive pictures so you can click on the thumbnail to enlarge and then watch the pictures as a slide show. This capability might well remove the need for a photo album. The Modified HD Locos Link gives pictures and background to HD based locos which have been repainted, re-bodied or converted from 2 rail to 3 rail. Click on the Wrenn locos and see which ones I have that have been converted to 3 rail operation. Currently the site does not have a spam problem so comments are fully active. Please leave a comment on anything that interests you. I check the site at least 4 times per week so you can expect a prompt reply. Many thanks for looking and enjoy your own 3 rail running. Keep up to date using the RSS Feed.